Transitional seasons are my favourite. 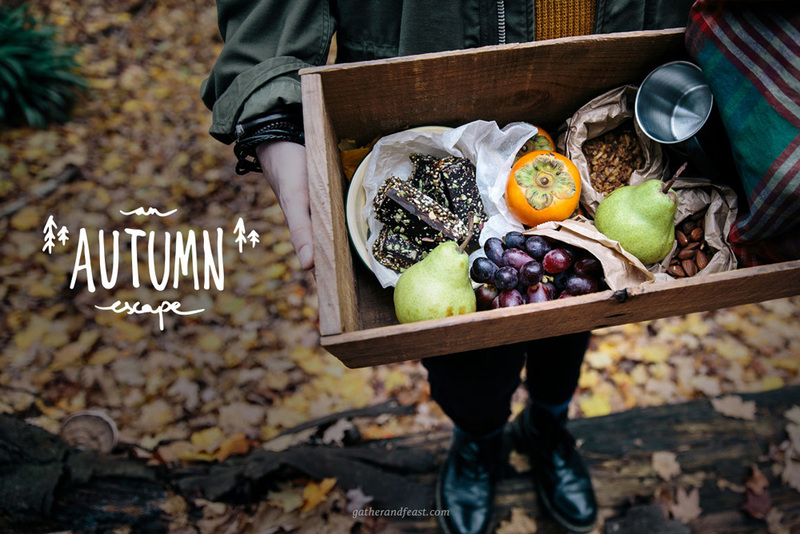 Spring, with its blossoms, new buds and warm sun bringing with it the promise of summer... and of course autumn, with its crisp fresh air and jewel toned leaves perfectly positioned against the backdrop of a moody grey sky. There is just something about autumn I especially love. The colourful changing surroundings are a feast for the eyes. Last weekend my brother Brandon, sister Taya, Mike (behind the camera) and I went for a little adventure to one of Melbourne’s beautiful surrounding mountains, Mount Dandenong. We packed a box of snacks, hot drinks and headed for the hills for a day of sightseeing, relaxing and exploring. With the autumn leaves at their peak (here in Australia) we stumbled upon some of the most beautiful little pockets of nature. A silver birch forest, a valley of vibrant yellow leaved trees, and a dark pine forest complete with its own red and white fairytale mushrooms (I had no idea these little mushrooms existed outside of Disney movies). The day finished admiring the amazing view from the top of the mountain while enjoying snacks from a picnic box packed with fresh fruit, roasted almonds, Anzac biscuits and my Almond, Pistachio and Quinoa Dark Chocolate bars I prepared a few days earlier. It was so nice to get away for the day, take in the beautiful surroundings and spend some quality time with the 'fam' catching up on all things new. Here's another Coastal Adventure we captured earlier in the year, featuring the beautiful coastline of the Sunshine Coast of Australia. What are some of your favourite weekend adventure spots you love to head to? 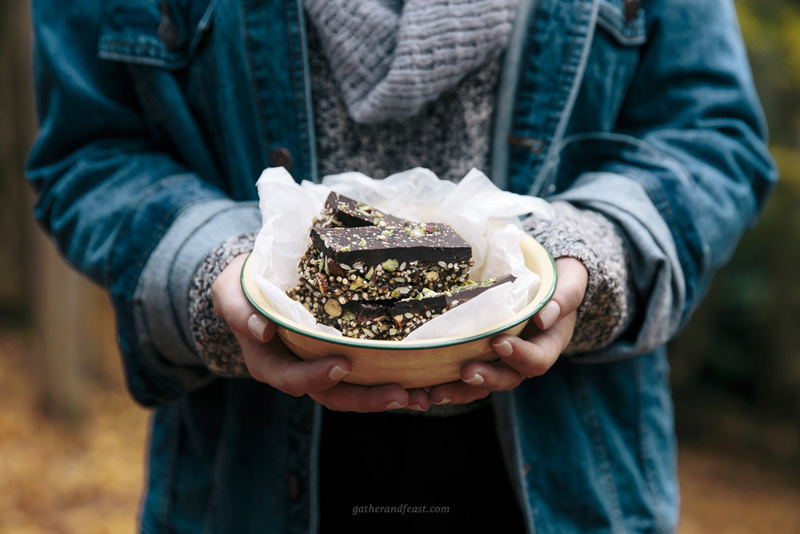 PS: Check out my Almond, Pistachio and Quinoa Dark Chocolate recipe here! I think that the environment in which we dine is often just as important as the meal itself. Carrot cake that is good for you? Yep!